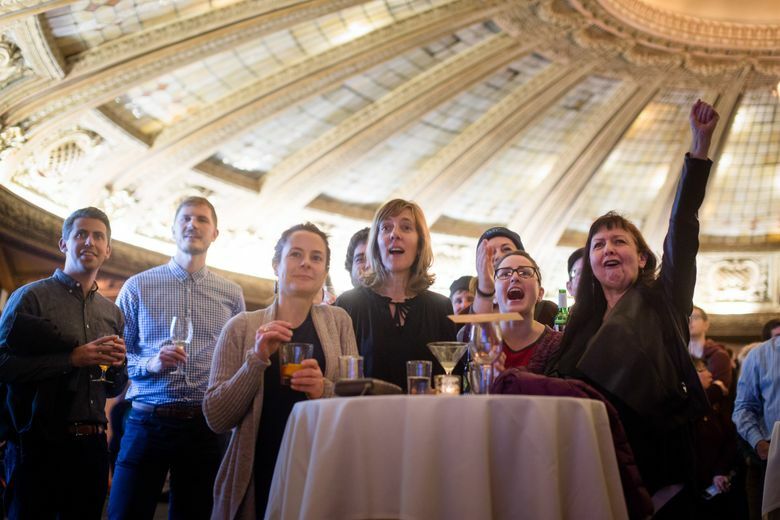 Voters in Tuesday returns rejected I-1631, the proposed carbon fee initiative, which would have raised more than $1 billion annually by 2023, with spending decisions to be made by a governor-appointed board as well as the state's utilities. Proponents, however, said that the battle to put a price on Washington’s fossil fuel emissions is not over. They already are thinking ahead to getting a bill passed next year in Olympia “where we know we have legislative champions who are prepared to keep pushing on this issue,” said Mike Stevens, state director of the Nature Conservancy, a major backer of I-1631. 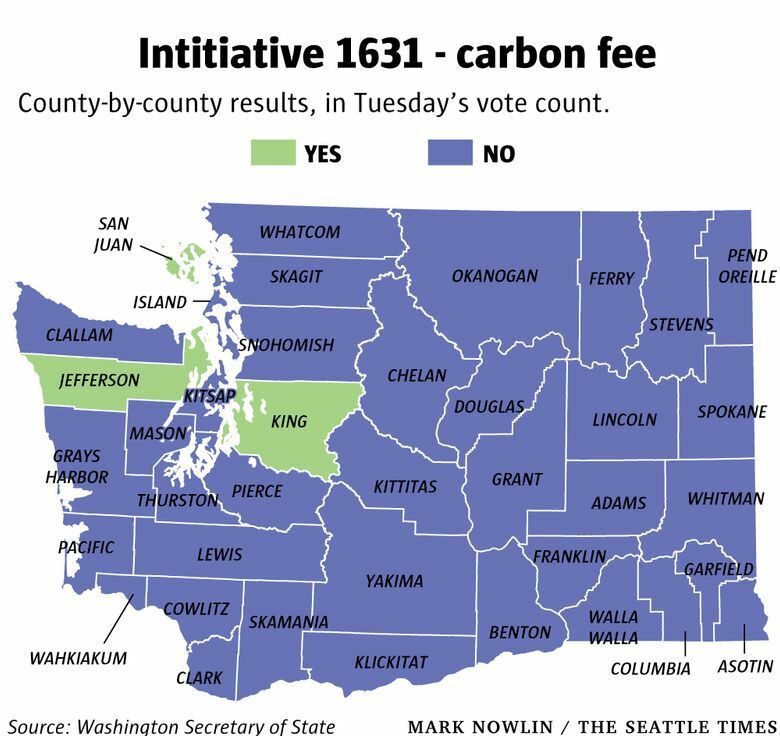 I-1631 would have created a first-in-the nation carbon fee. 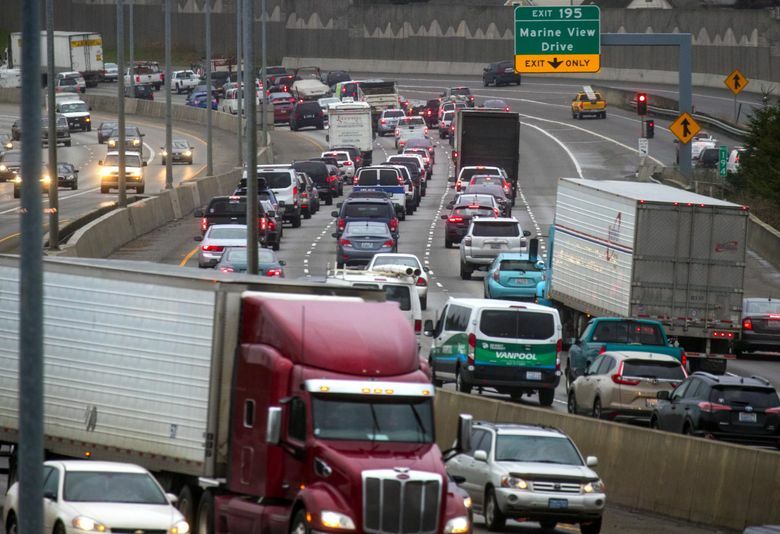 It would have taken effect in 2020, rising year after year to finance a multibillion-dollar spending surge intended to cut Washington greenhouse-gas emissions. 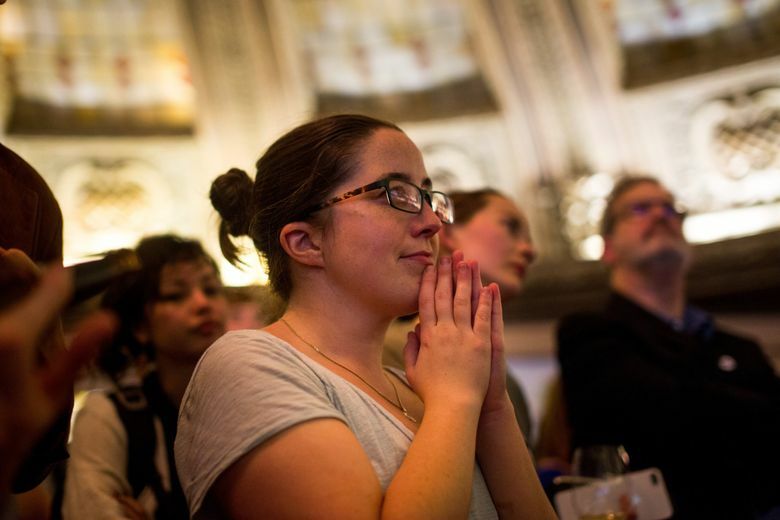 The initiative reflected proponents’ faith that an activist government can play a key role in speeding up a transition to cleaner fuels. The fee would have raised more than $1 billion annually by 2023, with spending decisions to be made by a governor-appointed board as well as the state’s utilities. The measure received national attention during a year when the Trump administration pulled further back from federal efforts to combat climate change. Fierce wildfires and hurricanes underscored what scientists say is the growing likelihood of extreme weather events as the amount of carbon dioxide and other greenhouse gases rises in the atmosphere. I-1631 received high-profile endorsements that included Gov. Jay Inslee, Attorney General Bob Ferguson, and Microsoft co-founder Bill Gates, who donated $1 million to the Yes on 1631 campaign. The oil industry contributed most of the more than $31 million raised by the No on 1631 campaign. That blew away the previous record of $24.34 million raised by opponents of a 2013 ballot measure — Initiative 522 — that unsuccessfully sought to require labeling of genetically modified food. Those contributions financed an avalanche of attack ads that warned Washington families would pay a costly new energy tax, while some industrial polluters would be exempt from the fees. 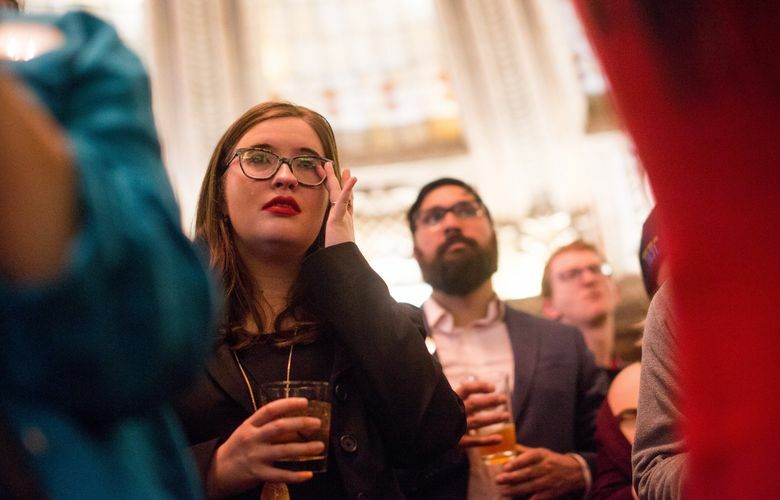 Proponents put together a wide-ranging coalition that included some labor unions, tribes and social-justice groups, and raised more than $15 million in contributions. 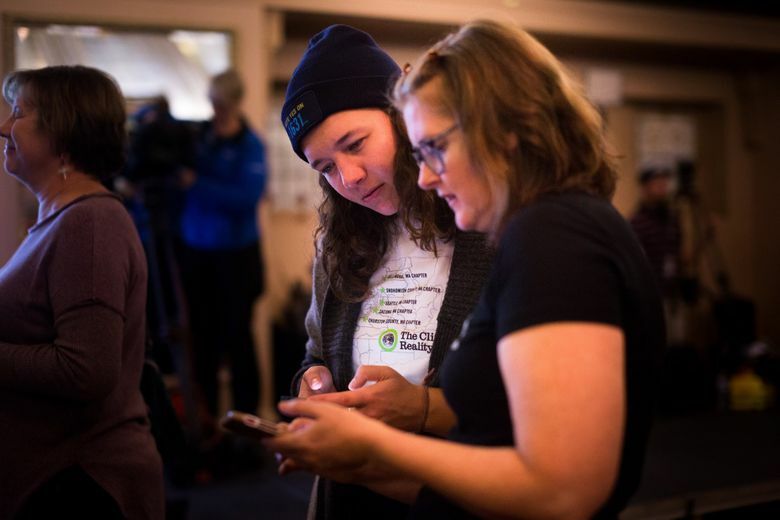 This is the second consecutive statewide election in which Washington voters weighed in on a proposed price on fossil fuels. In 2016, they rejected a carbon tax, which would have been coupled with a cut in the state sales tax in an effort to be revenue neutral. Reporter Michelle Baruchman also contributed to this story.